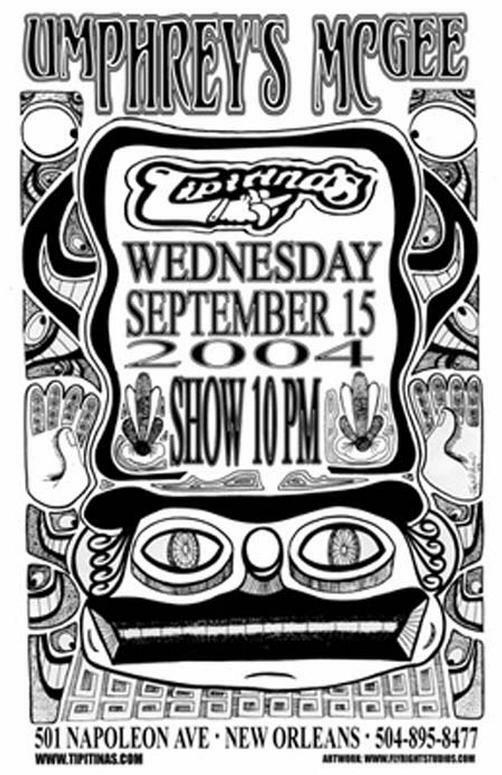 Original concert poster for Umphrey's Mcgee at Tipitina's in New Orleans. 12x18 on card stock. Hand-signed by artist Jay Michael.